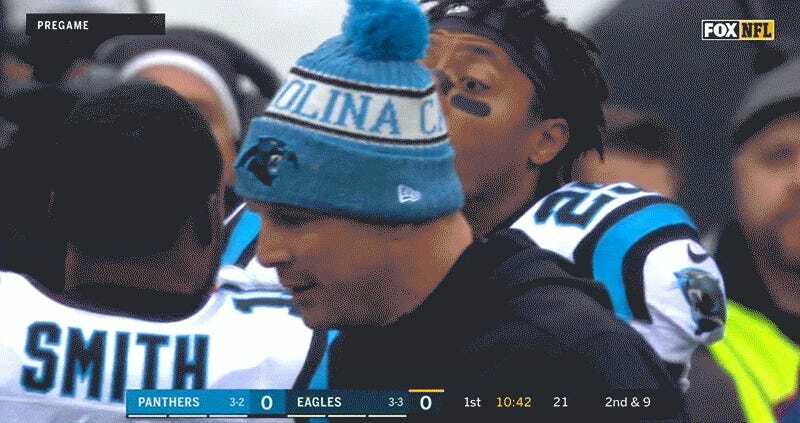 Carolina Panthers safety Eric Reid is grateful to finally have a job, and he’s also grateful to be on a football field so he can act on a grudge. 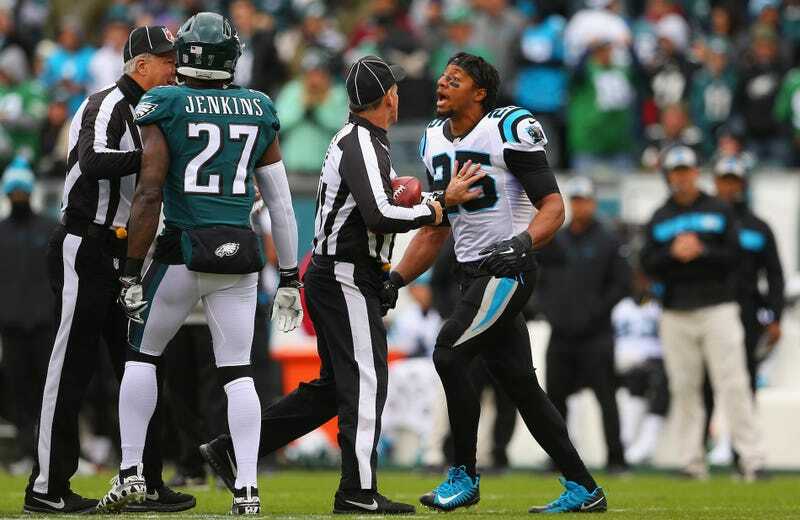 Reid has a history with Eagles safety Malcolm Jenkins, and got in his face before today’s game started. Both Reid and Jenkins have been notable faces in the NFL players’ fight against social injustice, but the two have taken different approaches to it. Jenkins has demonstrated during the national anthem with a raised fist; Reid, who was Colin Kaepernick’s teammate on the 49ers, has kneeled. Where they really differ, though, is in the players’ collective action beyond the protest. Jenkins is heavily involved in the Players Coalition. Reid and Dolphins safety Michael Thomas ditched the organization last November after learning that the coalition was considering an agreement with the NFL in which the league would donate $100 million to “causes considered important to African-American communities,” except it wasn’t clear that the league would let the players choose where that money went, and it was clear that the league hoped this would stop the players from demonstrating during the national anthem. Reid felt that the coalition would be selling out if it took this offer, and he also might have stewed over Kaepernick not being welcomed at last year’s player-owner meetings. Reid was still heated in the first quarter. After an Eagles run play, Reid took down quarterback Carson Wentz for no reason. Tight end Zach Ertz came charging in to defend his QB’s honor, and Reid took him down, too. Officials issued unnecessary roughness penalties to both of them. Reid’s settled down a bit since then. He and Jenkins might have more to say about this after the game; we’ll update if they do.